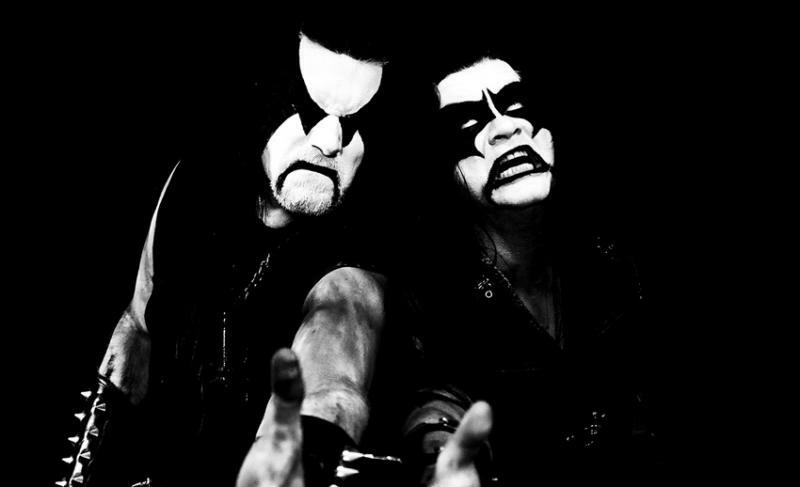 IMMORTAL: New album – old love! “Northern Chaos Gods”! The icebound gates are opening. Awakened to shroud the world in coldness and darkness once again. Blashyrkh has arisen – and with it “Northern Chaos Gods”. The sons of northern darkness have unleashed a Nordic winter’s storm, covering each and every soul. It’s an album meant to bring the listeners to their knees in epic wintery surroundings, as well as a direct blast into that one and only IMMORTAL battle ready chant. 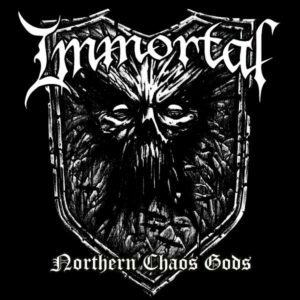 IMMORTAL are imperishable just like the permafrost up in the far north, as they successfully proved with the seven-year gap between »Sons of Northern Darkness« and »All Shall Fall«. “We want to be timeless” says Demonaz, nodding his iconically war-painted head. Aside from delivering his trademark guitar sound, he also coruscates with a rasping, raw vocal performance direct from the northern abyss. “The vision was to make the ultimate album both for us and for the IMMORTAL fans”, Demonaz continues. “An ultimate journey through Blashyrkh, the realm of all darkness and cold.” From the biting storms of the band’s very first albums to the weight of »Battles In The North«, the icy furore of »Blizzard Beasts«, the epic thrust of »At The Heart Of Winter« and »Damned In Black«, the massive sounding »Sons Of Northern Darkness« and »All Shall Fall« erupt as eight testimonies of IMMORTAL’s supremacy. »Northern Chaos Gods« culminates its blistering journey with ‘Mighty Ravendark’, a bow before one of their grandest efforts.